Posted December 19, 2014 by Pam Kachelmeier & filed under Equine Assisted. Are you feeling overwhelmed more than usual this month? After you head over the river and through the woods and into holiday gatherings this year, take time to slow down and reduce your stress. This holiday season does not have to be so stressful and draining. Give yourself a break after the holidays and remember to also focus on you. Think of something you’ve been longing to do and give that gift to you. Spending time with a horse may be just what you need so you can feel SO much more at peace. Under normal circumstances stress is a positive response that keeps us alert and ready to avoid danger, but it become negative when we face continuous have to dos without relief or relaxation. As a result, we feel overworked and the stress-related tension builds. Does any of the following resonate with you? What should I buy as a gift for my relative or friend? Where should I shop, will they like the present I give them? I am running out of time and feeling more pressured. What should I bring to the holiday party? 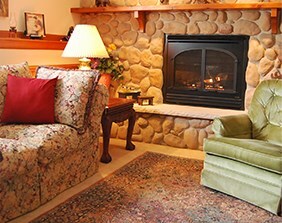 I have to clean the house, make it decorative and festive, but where do I find the time? I need to pack suitcases and not forget anything. Will I have enough money to cover all of the expenses? Research shows that in the United States many of us will spend approximately 24 hours shopping, wrapping and returning gifts, attending family and holiday functions, and traveling to different destinations and back. With only 24 hours in a day and many people living with a very busy schedule, the added stress can sneak up and take many forms. From feeling exhausted, to lack of patience, to feeling angry and agitated, many people will be feeling the added stress of having to do it all! Start out the new year by reducing the huge amount of stress. Be good to yourself by communing with a furry and friendly 4 legged friend – a horse…you will feel SO renewed ready to jump into the new year. Horses naturally activate the body’s natural relaxation response. Standing near, brushing, or walking beside a horse, your focus is no longer on external circumstances and a have to do list. A horse provides respite from negative heavy emotions resulting in feeling refreshed and renewed, the mind has been given an opportunity to slow down and rest. As a result, you experience a very peaceful state of flow. When under stress, shortness of breath is experienced, thus resulting in nervousness and anxiety. You want to get as much fresh air as possible in your lungs. Scientific studies show that controlling your breath helps to manage stress and promote relaxation. When with a horse, you will notice the shallow breathing in your upper chest change to deep abdomen breathing in the belly. When you match your breathing with that of a horse, you will get more oxygen into your system thus feeling less tense and much more relaxed. 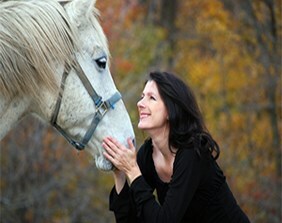 Many of my clients report they feel a deep inner peace being in nature and connecting deeply with a horse. You will also be caressed by the elements of nature. Bird-songs, fresh crisp air, tall nurturing trees, and the sound of silence that exists among the chatter all help in the recovery back to a natural state of joy. Horses help bring your nervous system back into balance. By engaging the mind and body, you are given a chance to boost your energy and mood. When your body feels stress, your nervous system is flooded with chemicals that engage the “fight or flight’ responses. While these reactions are may be necessary in an emergency situation, on a daily basis it will wear your system down thus resulting in chronic fatigue as well as other health risks. Living in the present moment, taking back a sense of power and control. Horses help people become aware of how they feel right now, taking away the need to think about the past or worry about the future, that often leads to some type of stress. A horse helps you focus your attention on the here and now thus creating a calmness which brings your nervous system back into balance. This offers you the increased sense of control over what is happening in your life. As this year comes to a close, remember to take care of yourself during the holidays and upcoming New Year. Take the time to slow down with family and friends, as time with loves ones is a gift. 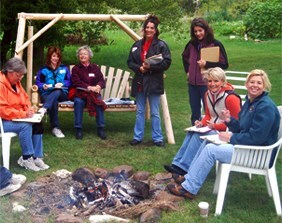 Sign up now to reduce your stress, the first 3 people that register are FREE! What will you do to take care of yourself and reduce the holiday stress? I have felt a tad intimidated by horses due to their size, but would love the opportunity to connect with one in the way you’re talking about, Pam. The media has a way of painting an image about horses; but in reality they are so sweet and gentle, unless their flight or fight kicks in, which humans are the same way. They only want us to be a part of their herd. Yes, there is something about being in that atmosphere, especially when they are all grazing on their hay, such a soothing sound. 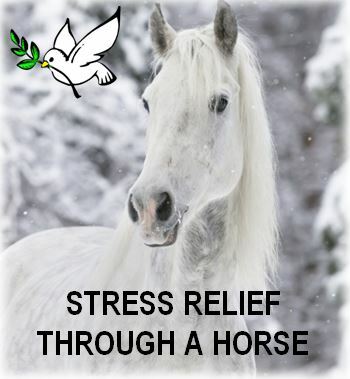 Wonderful post Pamela – I love your invitation to connect to with a horse for stress reduction. I know my 4-legged dog helps me reduce stress as she is naturally grounding and unconditionally loving. Thank you for the important work that you are doing on the planet – It is so powerful! I think I am way beyond the 24 hour average, and as much as I enjoy all the holiday gatherings and festivities, it certainly does bring on added stress. I’m intrigued with the information you offer about how spending time with a horse can help ease the stress, and I look forward to an opportunity to experience the beautiful connection you describe. I would love to show you in person how horses help humans. I am going to try to get new shots this week, this sounds like fun. With only one week left in the sttaes my time is flying by. love the new header.